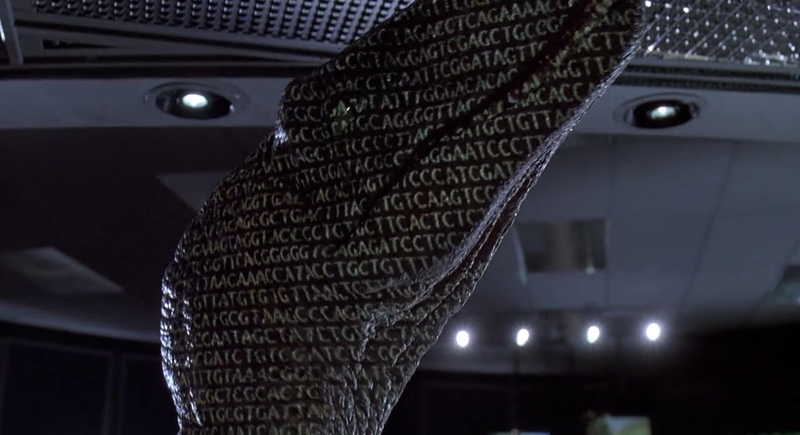 Our commentary track for Jurassic Park is available for listening or download right here. Boy, Paul and AJ sure are branching out, aren’t they? If interviews and 30-second specials weren’t enough for you, get ready to be thrilled and amazed by the boys’ first-ever commentary track! Born out of a whim to take up even more of your time, the guys decided to hunker down with a copy of Steven Spielberg’s mega-hit Jurassic Park and proffer their thoughts, musings, and ridiculous opinions on the film. Things they learned in the making of said commentary: you probably don’t want to live-feed dinosaurs; Jeff Goldblum’s exposed chest hairs get a lot of screen time; those short shorts look swell on Laura Dern, but not so much Bob Peck; and goddamn, what a great logo. I mean, there are other things, too, but it’s mostly about Jeff Goldblum’s pecs. So, enjoy! Just to let you know, the commentary itself starts about three minutes in; we give you time to get everything set up. And if you enjoy this commentary and would like to hear more of them, drop us a line at gobbledygeek@yahoo.com or leave a comment on this here post. Which films would our voices enrich? Do you ever want to hear from us ever again after this? Let us know! Note: After we finished recording our commentary, we were made aware of the passing of Ralph McQuarrie, the legendary concept artist who worked on classic science fiction and fantasy films such as Star Wars, Close Encounters of the Third Kind, and, yes, Jurassic Park. R.I.P., Mr. McQuarrie. This entry was posted in Shameless Self-Promotion and tagged audio commentary, bob peck, close encounters of the third kind, commentary track, dinosaurs, film, gobbledygeek, jeff goldblum, jeff goldblum's chest, jurassic park, laura dern, libsyn, michael crichton, movies, podcast, ralph mcquarrie, richard attenborough, sam neill, science fiction, star wars, steven spielberg. Bookmark the permalink.